If there is anything I have learned from the hard working folks who grow our food, it’s that a little snow can’t stop ‘em. The winter season has hit hard and fast in Ontario, but many farmers markets are still busy, bustling and open for business. TERRA is re-opening their indoor winter farmers market in January 2014A�and will run until Saturday, April 5th, 2014.A� The market will operate 10-3 and will reside in the greenhouse at the Milton location of TERRA located at 12800 Britannia Rd. in Milton. A�With 40 vendors to choose from, this market has something for everyone. What’s more, this weekend, the market will kick-off with a food truck rally with 13 food trucks offering foodies alike a chance to sample gourmet fare including everything from vegan dishes to pasta to funnel cakes!A�A�A� After the first week, the food trucks will begin rotating offering visitors to the market a chance to sample from three different food trucks each week. Also braving the cold weather are the farmers at Steam Whistle Brewery’s winter market. A�Every Sunday from January 5th to February 23rdA�10am to 2pm, Steam WhistleA�will host Ontario farmers sellingA�apples, baked goods, root vegetables, organic meat and cheese, beauty products, maple and honey products. Did we mention they’ll also have their award-winning pilsner available for sampling? A�If you stop by, make sure to take photos and tag them #SteamWhistle and #FarmersMarket on Instagram, Twitter and Facebook. Belleville, Hamilton and Brockville markets are also open year-round and offer everything from honey to cold-stored apples and hydroponics for locavores willing to brave the cold weather for a visit. Just a couple weeks ago, the St. Jacob’s Farmers Market Harvest Barn reopened it’s doors to hungry visitors from Waterloo and beyond, wanting their fill of summer sausage, fresh made pastas and local cheeses–not to mentioned fresh fried apple fritters! 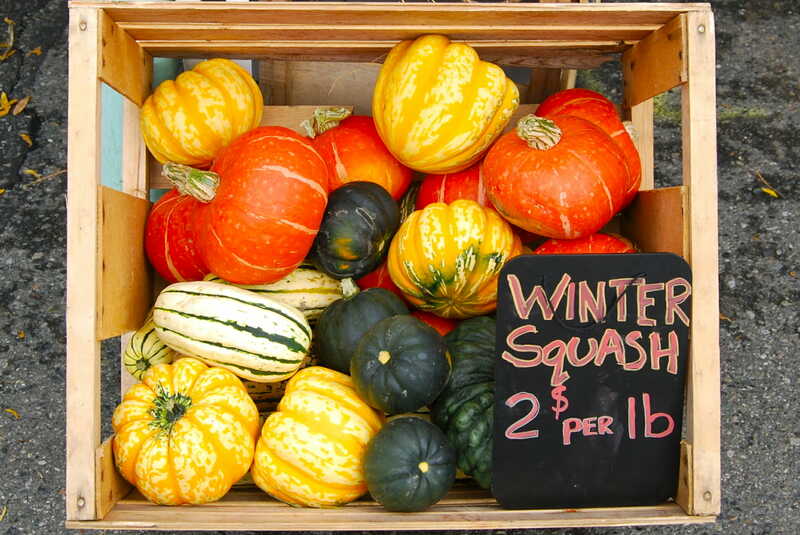 More likely than not, winter is no reason to stop visiting your local markets! A�To find one near you, visit our events calendar. VQA Wines Will Soon Hit Farmers’ Markets!